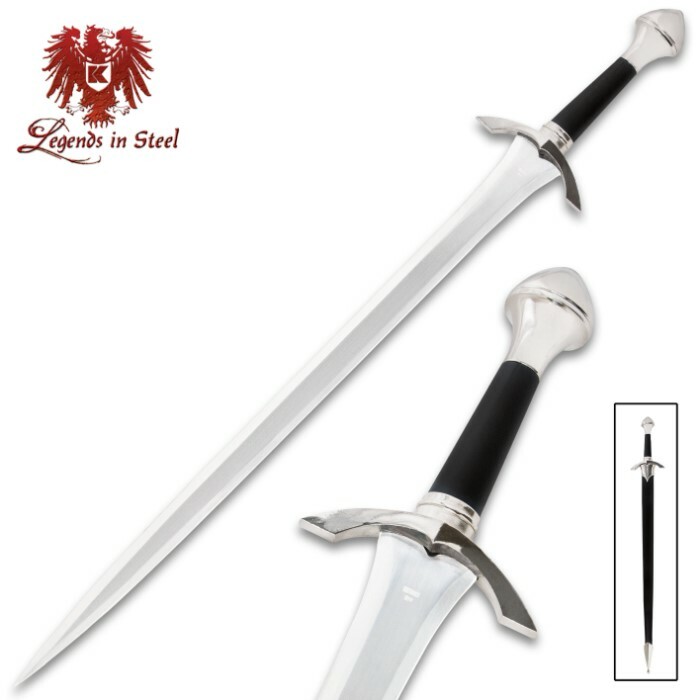 This traditional sword is equipped with a solid stainless steel blade with mirror finish. 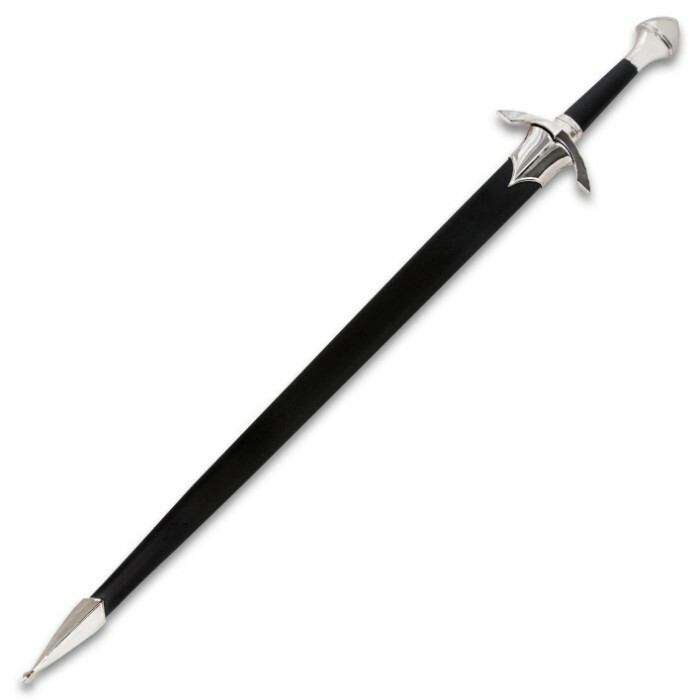 The traditional black grip is accented by cast metal outstretched guard and coordinating pommel. 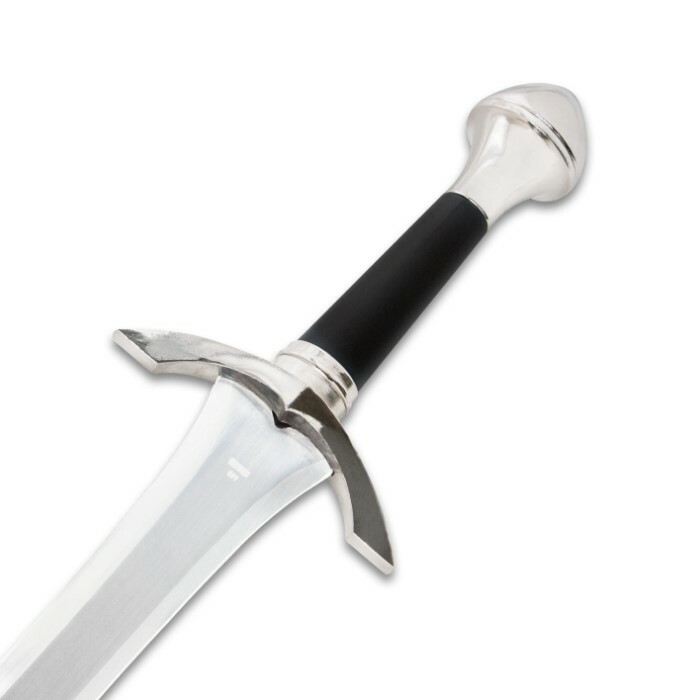 The blade slides into a hard black sheath with cast metal tip and throat. 22 1/2 in. blade, 31 3/4 in. overall.